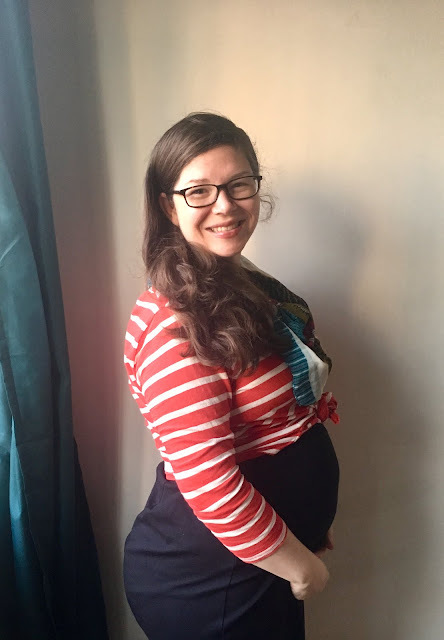 This last week I hit the 26th week in my pregnancy. With 40 weeks total and almost 13 weeks left to go before our daughter's due date, it seems like I still have a long way to go. And, especially as I get bigger and the temperature here gets hotter, I do still have a long way to go before we meet her. But a friend pointed out that 26 weeks is half of a year. Reframing it that way made 26 weeks seem like a long time, and indeed, when I look back, a lot has happened in 6 months. Some of it has been rough. Some of has been beautiful. And a lot of it has been...both. These last 6 months have been unlike any others in our time here in Cambodia. Unfortunately I got hit by terrible nausea the first 5 months of my pregnancy. (I won't even get into the time I momentarily forgot about the nausea and walked into the raw meat section of the local wet market.) I've also learned there's very little that pregnancy hormones can't do to your body—like the week or so where they caused my hips to feel like they were coming unscrewed, which made riding tuktuks, climbing stairs, or even just picking up the things I dropped around the house feel impossible. Nausea aside, the fatigue has been the most limiting part of the pregnancy. I've long realized that my capacity here in Cambodia is just simply lower than it was in my former life, but my energy levels have been at an all time low for these last 6 months. The last 6 months have also seen a lot of working to keep worries at bay. My guess is that for most people, becoming a parent naturally leads to a lot of worries. I definitely haven't been immune to that. It's also been a gut check to realize that, should something serious happen, there's no ambulance to call and we are probably a flight away from a hospital that can manage anything out of the ordinary. Yet, on the other hand, I feel the weight of the privilege I have to travel to Thailand to give birth when most people here don't have that choice. There have been other big and small challenges over the last 26 weeks. With this being an especially bad year for dengue fever and with Zika present in Southeast Asia, citronella has become my signature scent as I diligently spray every few hours to keep mosquitoes away. As we straddle medical systems from France, Cambodia, America and Thailand, I'm not always sure whose recommendations to trust. Being thousands of miles and a dozen time zones away from family and friends is even tougher than usual. OK, and I also really miss central air conditioning and Blue Bell ice cream. Yet, as I've bumped along potholed roads clutching a plastic bag, as I've dragged myself—slowly, slowly—up to my rooftop language tutoring, as I've dreamed of eating things that can only be purchased thousands of miles away, I've experienced a lot of beauty and learned a lot about myself and my calling and Cambodia in these 26 weeks. While the pregnancy symptoms have been rough, we are so thrilled to be welcoming a little girl into our family that all of the physical ailments feel worth it. And, isn't it just miraculous to be able to co-create a human with the creator of all things? Keeping the worries at bay has meant that my prayer life is stronger than it has been in a long time. And while I welcome the day that Cambodia has quality healthcare for everyone, I've also had to come to grips with faith in the God who called me here to this place. So, while some trust in chariots and horses—or hospitals with NICUs—I (do my best to) trust in the name of the Lord our God who has called me here and knows what I need. I trust that while my capacity is lower, God knew about that too when God called me here. These 6 months have required some shifting of responsibilities, lots of help from David, and coming to grips with all the miraculous things my body is able to do...and the things it cannot do. I've learned to better embrace the way God created me. These 6 months of pregnancy have also seen a deepening in almost all of my relationships. Other foreigners have been hard to meet and get to know here, but an online group of moms I've never even met have stepped up to offer advice on things from choosing a hospital and doctor in Bangkok to what kind of handy baby items are unavailable in Asia and must be brought over. Other missionaries on our team across Asia have been quick to share resources and encouragement. We are even lucky enough that several of our friends and coworkers are also pregnant and going through all these changes and decisions at the same time as us, even if we are doing it in very different contexts. What a gift! Video chats and various messaging platforms mean that friends and family are only clicks away. People we don't even know personally are praying for us and our baby girl the world over. Our relationships with Cambodians have also gotten deeper. For a lot of reasons, I'd settled into the fact that small talk, let alone the deep conversations that I enjoy, were just not in the cards with some folks, and that this was OK. Yet, it's been so fun to exchange sitting in contented silence together with them asking me questions about the pregnancy and the baby (even if some of those questions are about how much weight I've gained!). It's been incredibly hard for us to get to know anyone in our apartment building, yet now a Cambodian woman from a couple floors up always stops to smile and wave to me from across the garage. She loves getting updates on the pregnancy and giving tips on what is to come. The waiters at a coffee shop I go to weekly all light up when I come in now and come over for chats. Even the kids at church have loved trying to guess the baby's gender and coming up with possible names. I've gotten lots of advice, some of which I will take—take it easy, eat lots of sour fruit—and lots of it that I won't—don't take showers at night, avoid cold drinks—but either way, it's nice for us to have something to talk about. We now have more shared experiences and more joy to share. 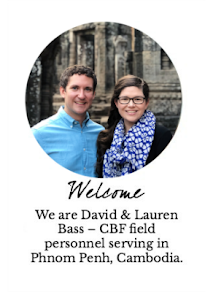 I also think that for us and for the people we know here, the idea of having children and raising them here makes our commitment to life and ministry in Cambodia a lot more tangible, shifting our relationships. At the end of the day, this pregnancy has been about a lot of paradoxes. Isolated, but wrapped in love and encouragement from around the world and down the block. Feeling my physical worst and my emotional happiest. Grieving being far away and rejoicing in being here, in Cambodia. Feeling like an outsider, but finally having a way in. Knowing fear is on the doorstep, but finding peace in faith. At 26 weeks pregnant, I probably don't have to tell you that it's all enough to make my eyes well up in gratitude!